Speedfire-2 has complete new aerodynamics. Chosen for its extremely low drag and high lift the wing features a PJ F5B 2013 profile which has been shortened from the SF-1 to reduce weight and increase speed. The fuselage has also been entirely redesigned with a rectangular cross-section for batteries and front round cross-section, allowing perfect propeller folding. Speedfire-2 has better performance in thermic and in turns. The model is entirely composite. 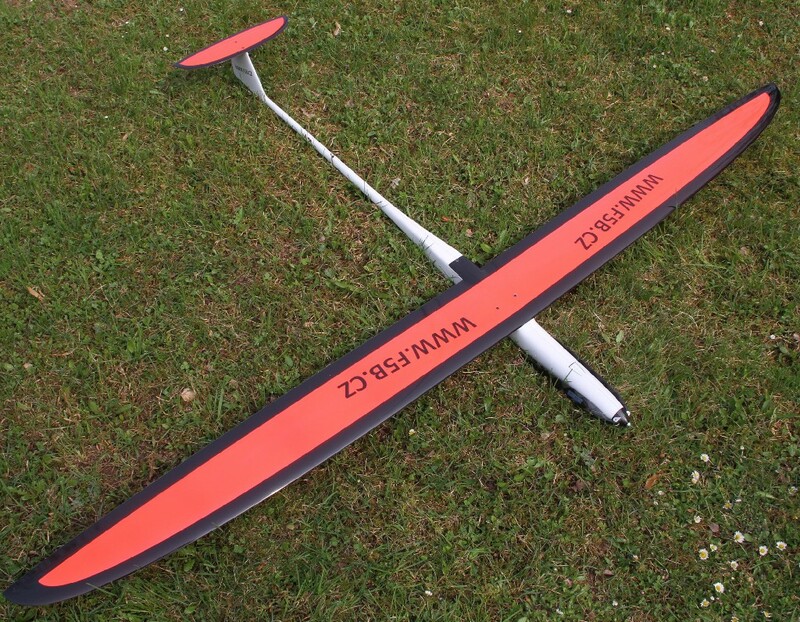 The fuselage is made of carbon-fiber with a glass cavity for internal 2.4GHz antennas. The rectangular cross-section makes for easy launched and greatly increases the longitudinal stability over circular alternatives. Additional weight savings is attained by using high-pressure laminate technology. Rudder is double layer using full 93 g / m² carbon at ± 45 ° bias. Tail is made with the same ± 45° bias carbon as the wing. Model can be supplied with or without pre-installed servos. Last version is RTF with installed motor, esc, rx battery. Also available are various “show versions” featuring different layups (e.g. double carbon).